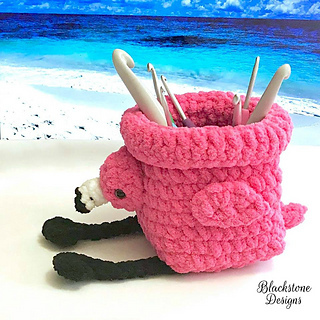 This is a FREE pattern on my blog, but you can also purchase this listing for the ad-free PDF version. 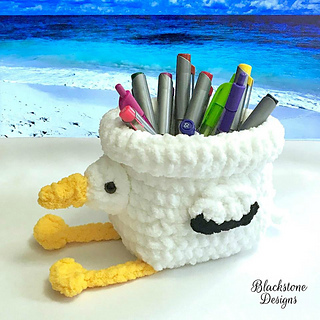 Jazz up your workspace with these super cute bird baskets! 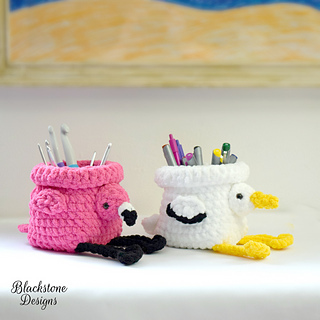 Instructions for a Flamingo and Pelican included, but you can make them in any color! Finished measurements are approx. 4 1/4” x 4 1/4” x 4 1/4”. © 2018 Sonya Blackstone. Do not sell, share, or modify this pattern. You may sell items you make with this pattern. 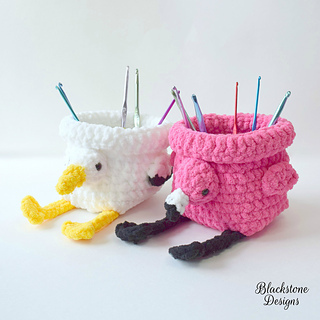 This pattern, as with all Blackstone Designs/Sonya Blackstone patterns, are not for educational use without written permission from the designer. Online users please link to me when sharing your creations. Rights Reserved.